Elemental is the title of Ruth's October exhibition at The Aldeburgh gallery. 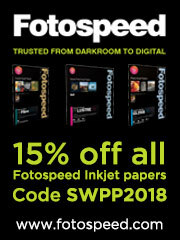 Fotospeed's Foto Fest South is back with a twist! Be Summer Ready with Manfrotto's Summer Essentials!